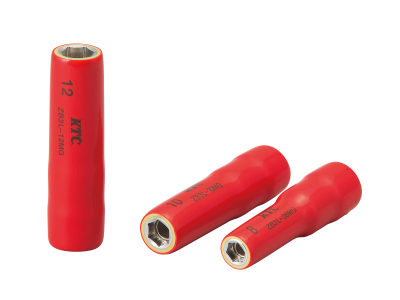 ● สามารถใช้ได้ถึง AC 1000V และ DC 1500V. 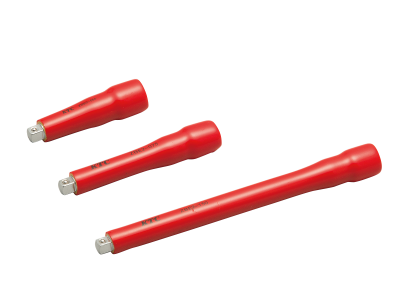 ● A product which fits in with IEC 60900:2004 standard which is the only international standards about an insulation tool. It corresponds to the voltage to the AC1000V and the DC1500V. ● 3/8"sq. 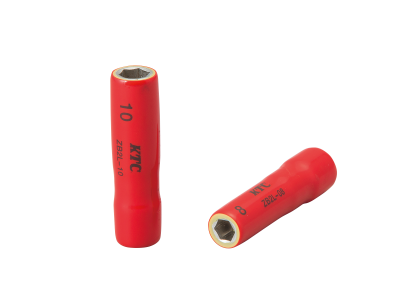 INSULATED TORQUE WRENCH of KTC 3/8"sq. INSULATED SOCKET and the pre set which is combined and used-type. 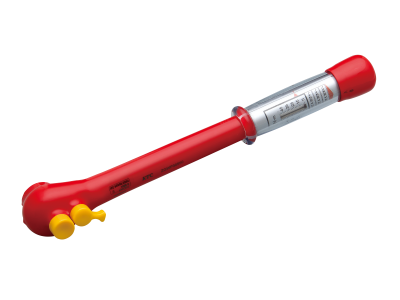 ● The torque reach most suitable for maintenance of the hybrid car (HV) (10 N . m-50 N . m). ● As much as change in the setting torque pulls and turns a grip end. 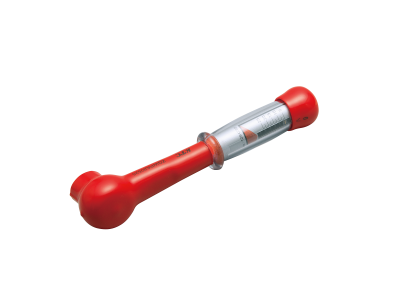 ● For the measurement accuracy± 8 % is cleared (for measurement, only for right sides). ● A hiatus of a socket is prevented and easy UNION mechanism is also adopted as removal of a socket. ● 3/8"sq. 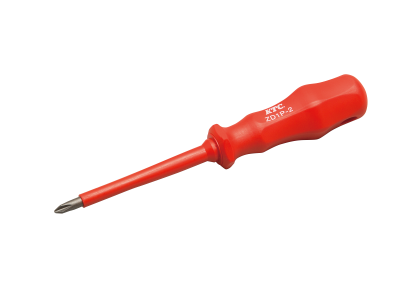 INSULATED TORQUE WRENCH of KTC 1/4"sq. insulation socket and the pre set which is combined and used-type. 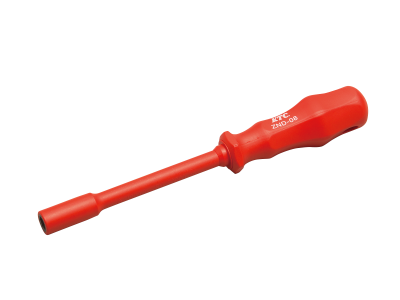 ● The torque reach most suitable for maintenance of the hybrid car (HV) (5-25 N . m). 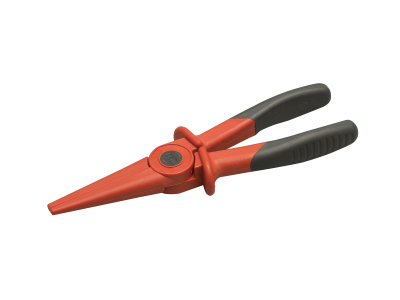 ● A wire cutter which fits in with IEC 60900:2004 standard which is the only international standards about an insulation tool. It corresponds to the voltage to the AC1000V and the DC1500V. 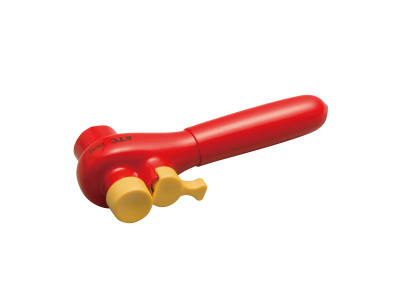 ● It's light-weight and is made of the resin for which a target thing is difficult to injure. 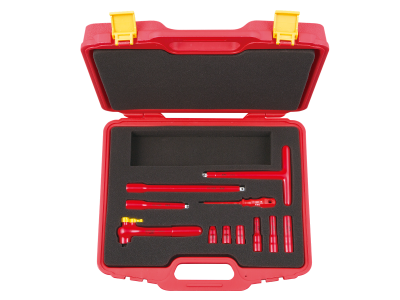 ● A fall of a bolt nut is prevented by a magnet had by the caliber part built-in. ● UNION mechanism which prevents a hiatus of a socket is adopted. 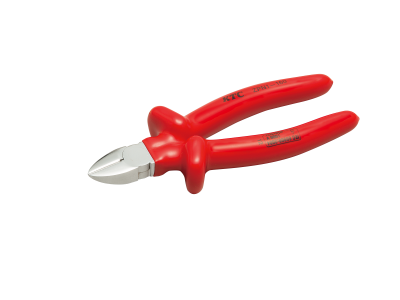 ● It is a product conforming to the IEC 60900: 2004 standard which is the only international standard for insulating tools. It corresponds to the voltage of AC1000V, DC1500V. 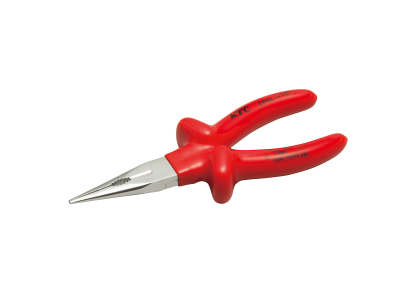 ● The diameter portion prevents concentration of stress and adopts a power-fit shape gentle to bolts and nuts .